Looking for a perfect night out but just haven’t found it yet? Ladies, get ready to swoon! 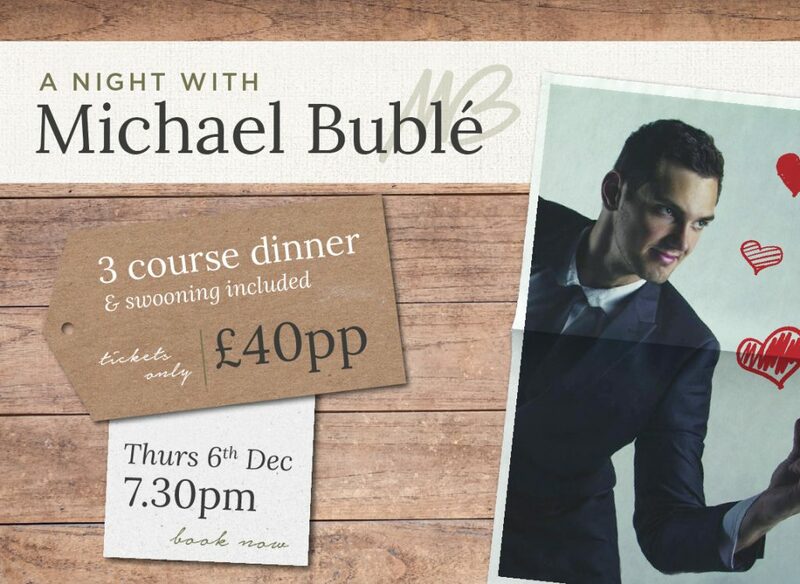 Enjoy a indulgent 3 course dinner then swing the night away with our Michael Bublé tribute. Just please don’t throw your knickers at him as we’ll get charged extra for those shennanigans.